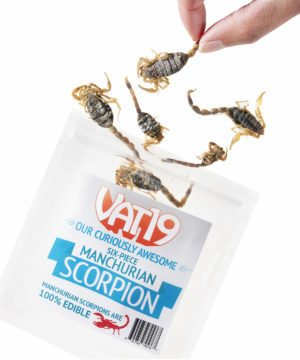 Manchurian Scorpions: A pack of dried, edible scorpions—stinger and all! Dare to put horror in your hors-d'oeuvres and devour these Manchurian Scorpions. 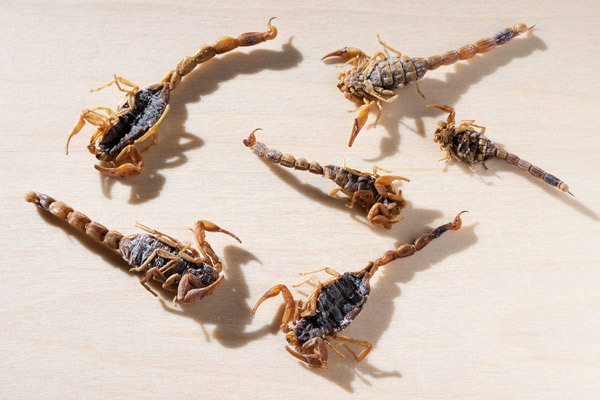 These dried arachnids are 100% edible—pinchers, thorax, and even the stinger! The closest thing to an Alien facehugger you'll ever see in real life, these bugs have an otherworldly quality that's somewhere between menacingly terrifying and strangely fascinating. They even naturally glow under a blacklight! If you're up for the challenge, these predators become your prey. Some say they taste like shrimp, others like a salty delicacy with its own distinct flavor. You'll just have to step up and bite in if you want to find out for yourself. Allergy information: If you are allergic to shellfish or crustaceans, you may also be allergic to insects. Products may be from manufacturing facilities that process milk, eggs, and peanuts. They say humans are at the top of the food chain, but in today's skeptical world, how can you prove it? How about sinking your teeth into another fearsome predator… the Manchurian Scorpion! If you dare, eating a scorpion proves you're the apex predator with nothing to fear but fear itself. 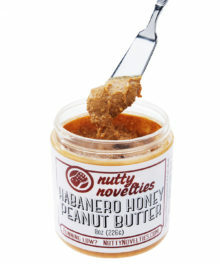 Snack on a real scorpion! 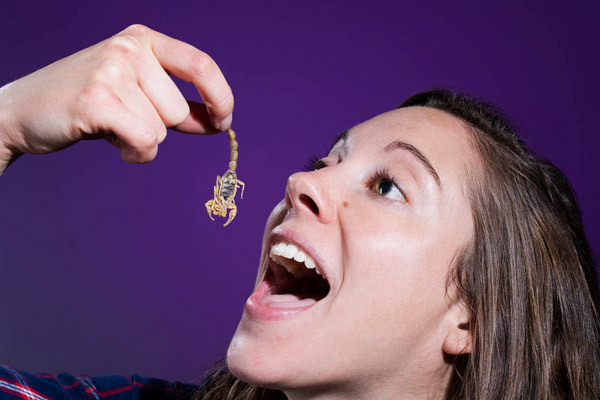 What's better than eating a scorpion? Eating six scorpions of course! Each order of Manchurian Scorpions includes six arachnids for you to sample solo or share with some brave souls. 6 real scorpions per pack! 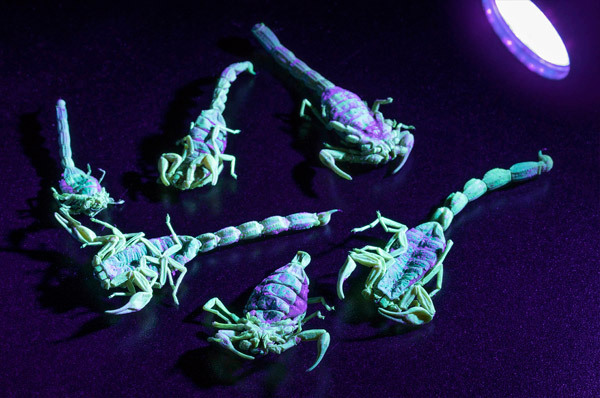 Did you know Manchurian scorpions naturally glow in the dark? 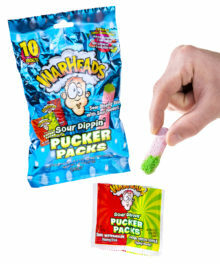 Without added dyes, these monstrous munchies will glow when you hit them with a black light! 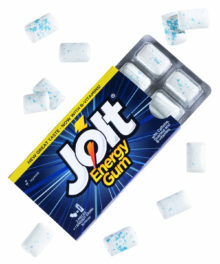 They glow under UV light! 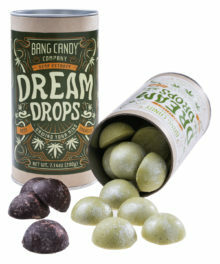 Question: What else is in them? Answer: The only ingredient in this "food" is 100% Manchurian Scorpion. 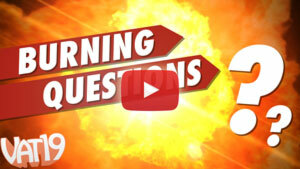 Question: Won't the pinchers, the stinger, and the poison harm you? Answer: The pinchers and stinger are still on the armored arachnids, but since they're completely dried out, they're weak enough to bite through, and the venom is deactivated.